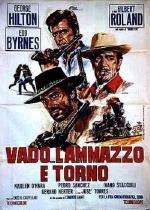 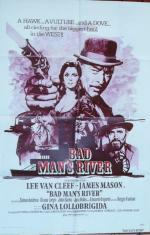 Italian director Sergio Leone brought many profound changes with his brilliant low-budget "spaghetti" western films made in Europe (Spain and Italy) in the mid-60s.The changes were a new European, larger-than-life visual style, a harsher, more violent depiction of frontier life, haunting music from Ennio Morricone, choreographed gunfights, wide-screen closeups, and TV's Rawhide (Rowdy Yates) star Clint Eastwood as the mysterious, detached, amoral, fearless and cynical gunfighter (dusty, serape-clad, stubbly-faced, and cigar-chewing) and bounty hunter - 'The Man With No Name.' 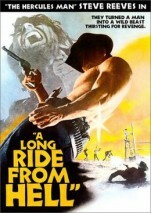 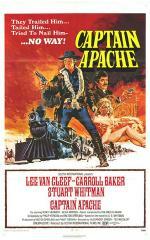 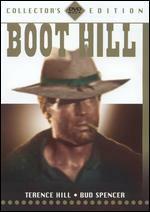 These films resulted in a revival of the genre in the mid-to-late 1960s. 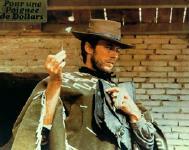 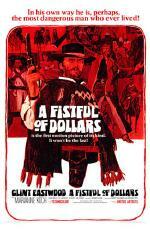 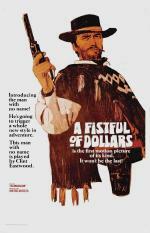 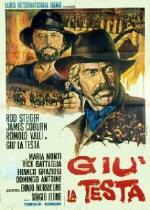 Right: Clint Eastwood stars in Sergio Leone's magnificent "A Fistful Of Dollars".